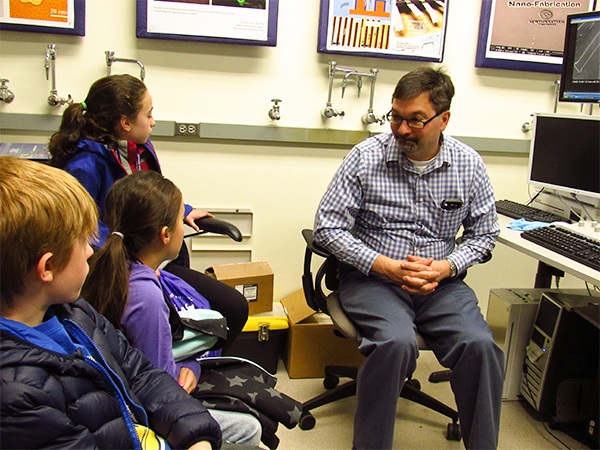 The NUANCE Center introduced about 30 students from elementary school to high school to nanotechnology for “Take Our Daughters & Sons to Work Day” on Thurs., April 28. 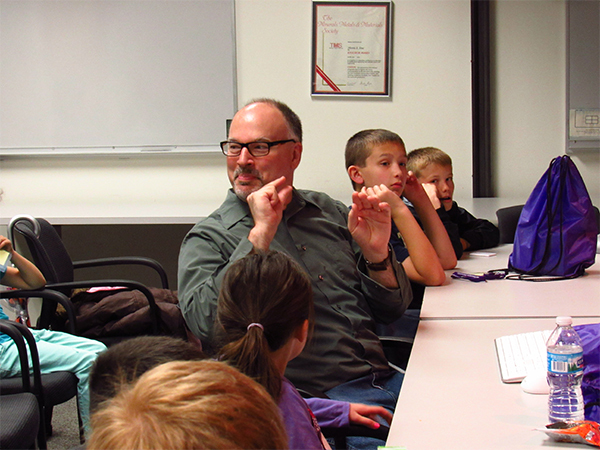 NUANCE Center outreach coordinator Raymond Bailey defined atoms as “very small particles” to the room of children. 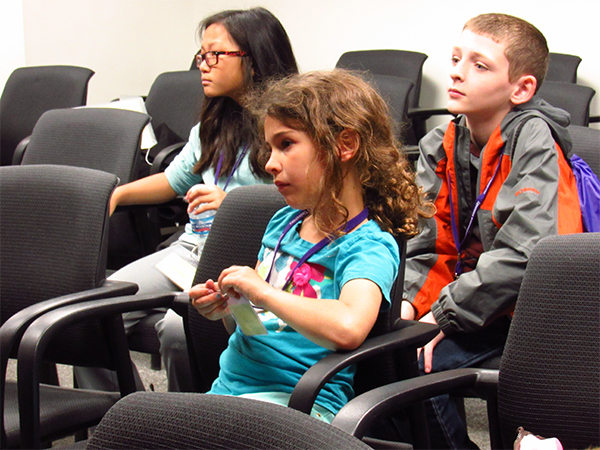 The young audience members listened attentively to the presentation. 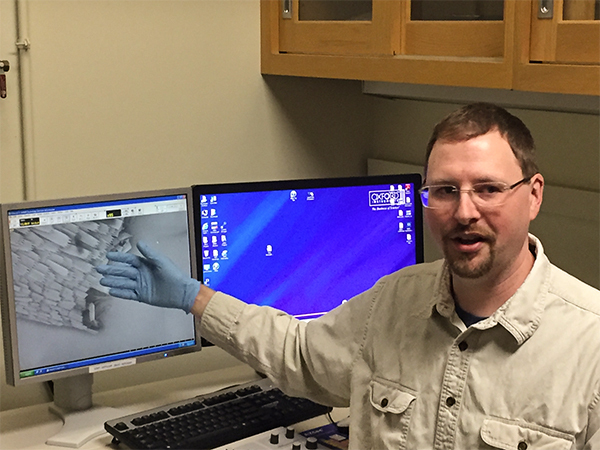 Microscopy & imaging specialist Eric Miller explained to students how electron microscopes work and aid scientists in their research. 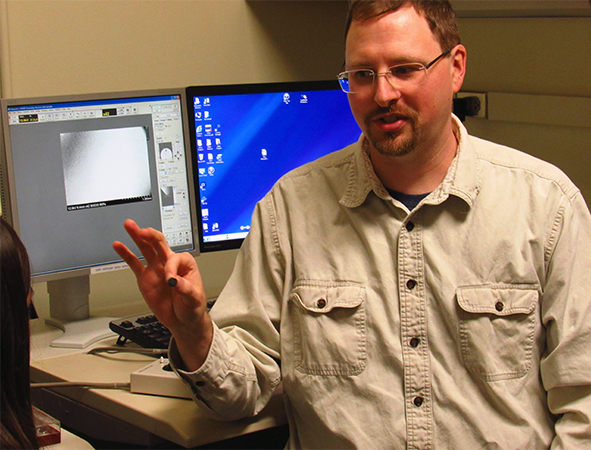 Microscopy & imaging specialist Eric Miller showed the students a close-up view of a moth’s wing through the Hitachi S-3400N-II Scanning Electron Microscope (SEM). 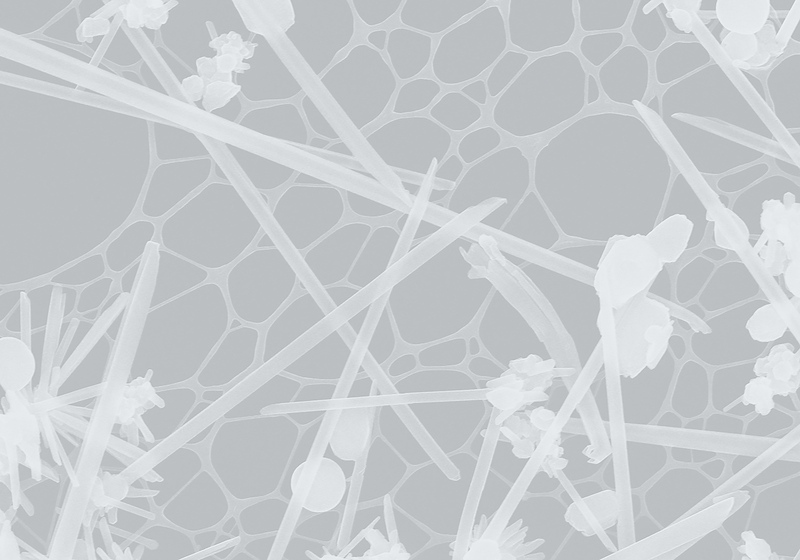 Students waited expectantly for the next sample to be placed under the microscope. 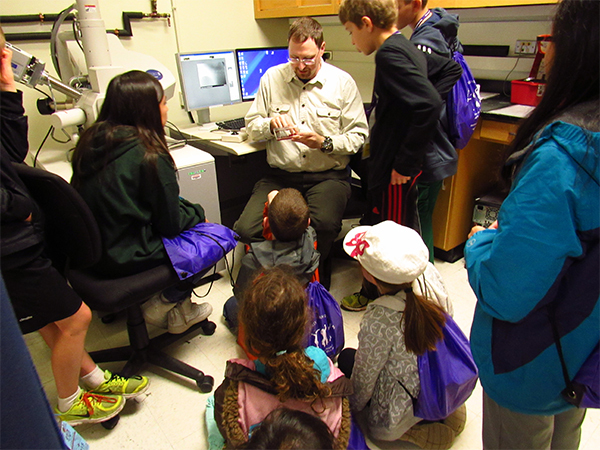 Microscopy & imaging specialist Eric Miller showed the students what appeared to be dirty tape but was actually part of a moth’s antenna. 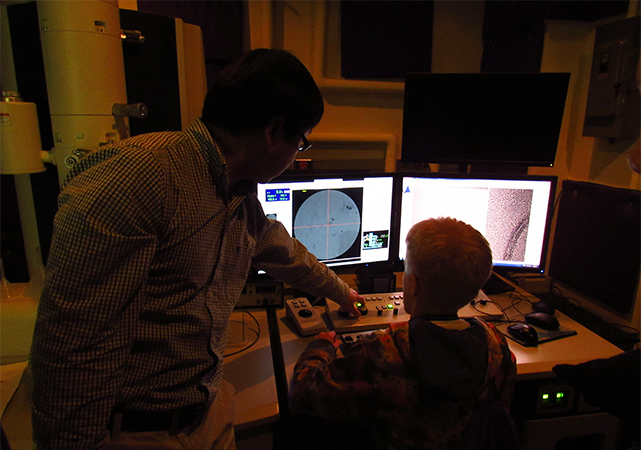 Research assistant professor and TEM manager Dr. Jinsong Wu explained the difference between an optical microscope and an electron microscope. 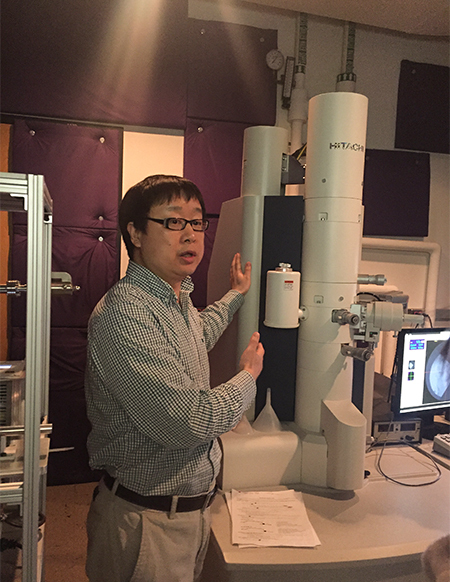 Dr. Jinsong Wu demonstrated how to use the JEOL JEM-2100 Transmission Electron Microscope (TEM). 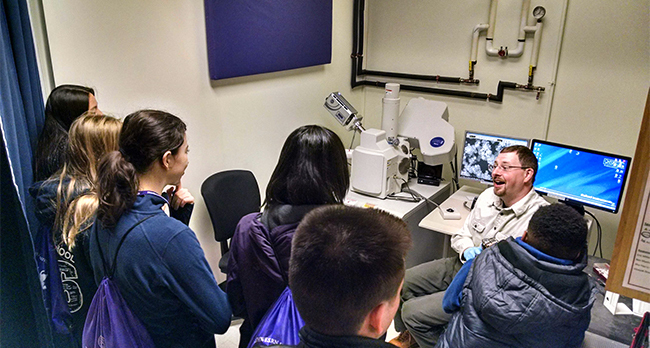 Students took turns trying out the JEOL JEM-2100 Transmission Electron Microscope (TEM). 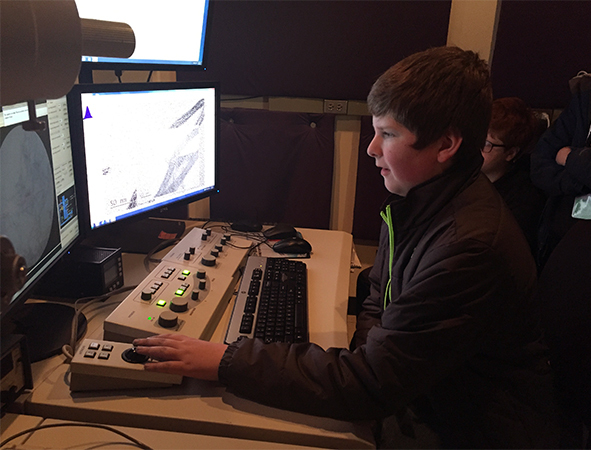 Students took turns using the JEOL JEM-2100 Transmission Electron Microscope (TEM). 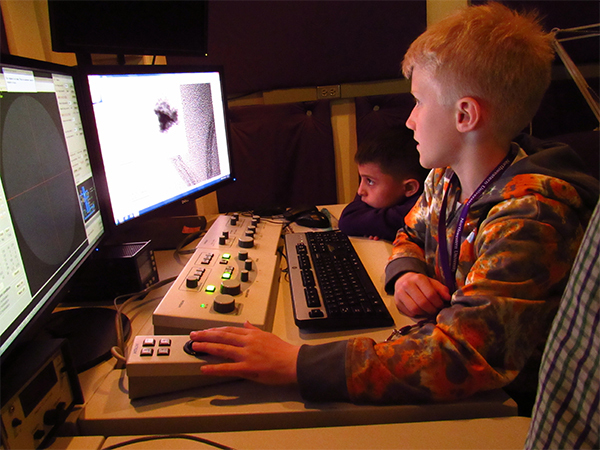 Two students sat next to each other while listening to electron microscopist and SEM manager Karl Hagglund’s presentation. 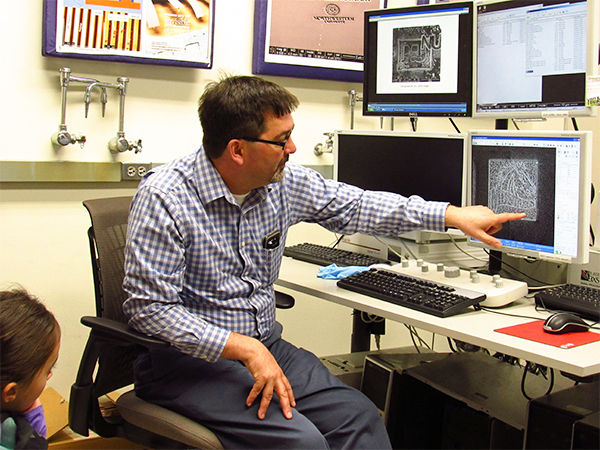 SEM manager Karl Hagglund constructed a nanoscale picture of Mundelein High School’s mascot. 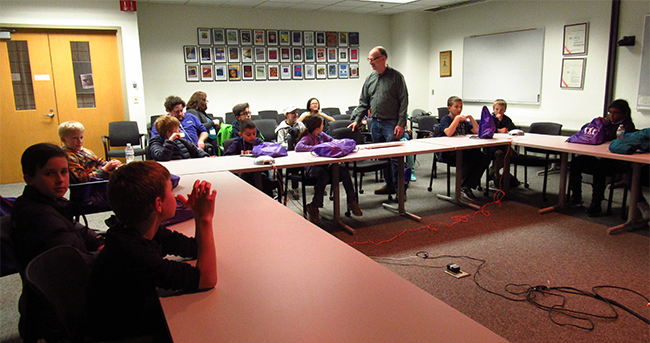 SEM manager Karl Hagglund answered the students’ questions. 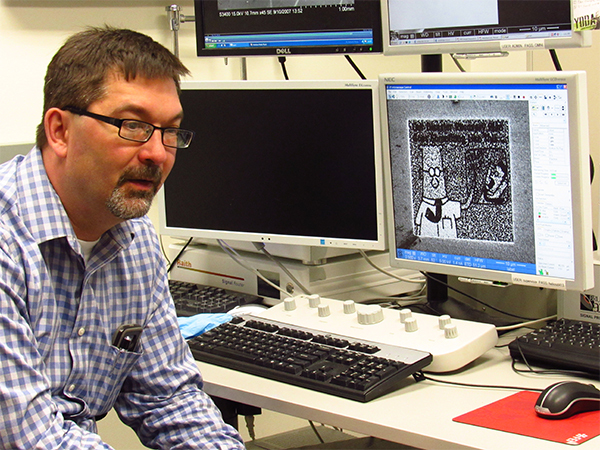 SEM manager Karl Hagglund demonstrated a nanoscale picture of a Dilbert cartoon he had constructed with the FI Helios Nanolab Focused Ion Beam (FIB) Scanning Electron Microscope (SEM).